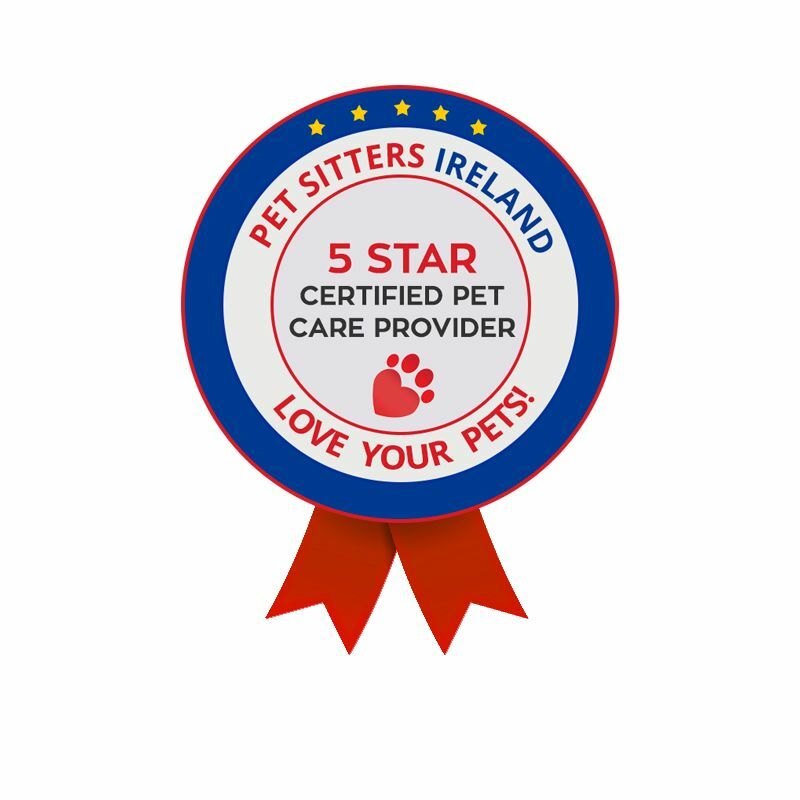 A certification for Pet Care Professionals In Ireland. All our Pet Sitters and Dog Walkers follow your best practices when it comes to caring for your pets. We want to make sure that your pet gets the same level of care that you give them. Our online Pet Care profiling system means that you can be assured that we know what you want us to do on a daily basis and that level of service is maintained. We take great pride in following your exact instructions 100% of the time, to ensure you and your pet(s) have the best experience we can provide. If we are guessing about what you want us to do then we have not done our job properly. Every pet owner should have access to book their services online. With online booking, you can be assured that your schedule is booked correctly and you are also able to check up on your visits daily/weekly. Mistakes get made when things are written in diaries and on pieces of paper, so online booking is the most reliable way to book your Pet Sitting and Dog Walking services. It’s also the most reliable way to make sure that your pet care instructions are followed. Things get forgotten, notes get misplaced and people misunderstand – that is why online pet care profiles are key to ensuring your pet gets the care they deserve. Pet Sitting and Dog Walking services should be tracked online, for the safety of both the pet and the pet sitter. We know where everyone who works for us is when they are delivering services. We can tell if jobs have been completed and the time they started and ended. We offer complete transparency in the length of visits and walks, and can tell you when your visits were completed daily. There should be no need for you to worry if your dog is getting walked for the correct amount of time or if you cat is fed at the correct time of day, your pet care journal will show you the time(s) of our visit each day. Pet owners want to know that they can contact someone about their pet care at any time of the day. They don’t want to be travelling away wondering whether a visit has been completed or not. This is why personal support is key when using a Pet Sitter or Dog Walker. Having only one phone number/person to speak with is not enough. If something happens to that person and you are lying on a beach in Florida then who is going to feed your pets? Back up is a key element of this service that every company has to offer. Knowing who that backup person before you travel away is important. You don’t want a friend of a friend stepping in to take care of your pets. The backup should also be a representative of the company you are trusting the care of your pets with. Every pet owner should receive automatic notification of services being completed after every visit. There should be no need for you to chase your Pet Sitter down for an update every time you use them. Pictures are a vital part of our service when taking care of your pets. We want you to be able to see happy and contented pets in our care.